By opening a coffee cellar door just outside McLaren Vale, Dawn Patrol Coffee has created a near impossible-to-resist destination for the start of your weekend daytrip. “Where there’s good wine, good coffee generally follows,” says Dawn Patrol Coffee co-founder, Dom Ossa, discussing the origins of the roaster’s Kangarilla-based coffee cellar door. Talking with Dom and Dawn Patrol’s other founder Nick Suggit , it quickly becomes apparent that the idea of merging coffee and wine culture is not so obscure. “Coffee and wine share so many similarities, from the farming and processing to the varieties and flavour profiles. We want to show people they can appreciate coffee in the same way they do wine,” says Nick. On the northern edge of the Fleurieu Peninsula, a few minutes’ drive from McLaren Vale, Dawn Patrol’s cellar door and roastery are surrounded by rows of organic vineyards. And Dom lives on the property too. As is often the case with good ideas, Dawn Patrol was born out of a conversation over a drink. Nick was working as a barista at Dom’s café SAD, on Ebenezer Place, where he’d fallen hard and fast for the coffee culture. SAD provided the pair with a good testing ground to see what coffee people were drinking, but before long the combination of the city’s rush culture and caffeine began to show its limitations. “We wanted to take people out of the city café environment, where they can slow down and we can have a proper conversation about what they’re drinking,” Dom says. 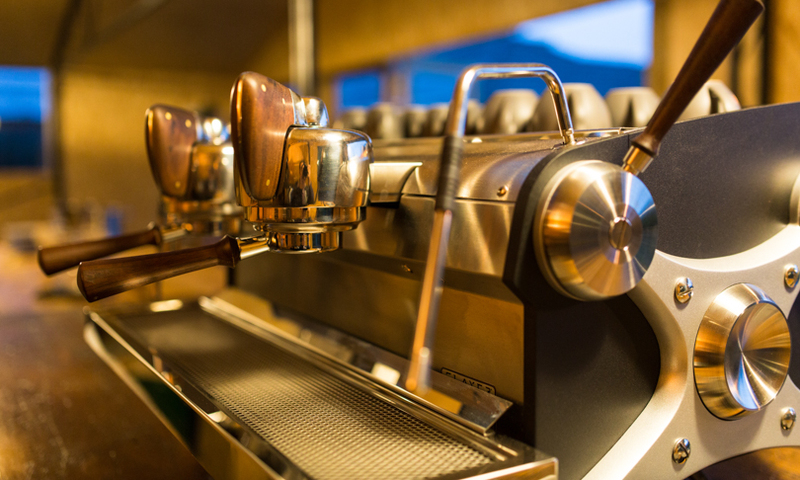 This educational aspect of the cellar door is central to the whole concept, and will take many forms – including showcasing different brew methods and sharing insights on coffee production. 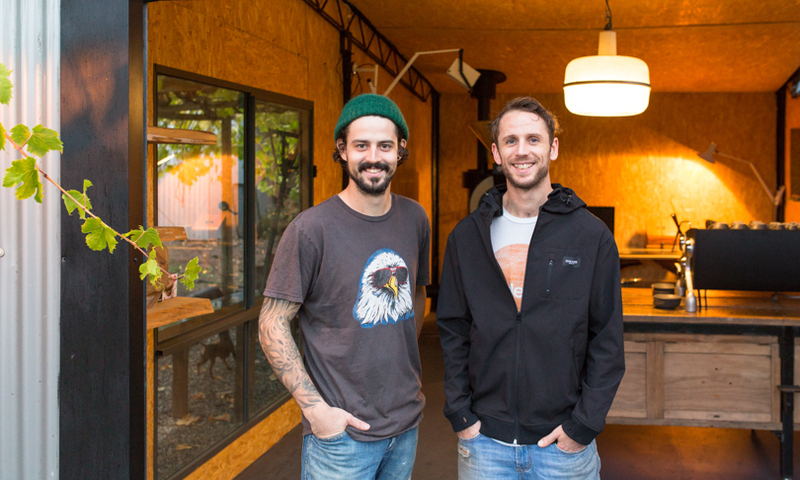 For Dom and Nick, a coffee cellar door was always the end goal but first, they wanted to roast their own beans to serve customers. “We bought a bottle of port and a popcorn maker and roasted some green beans. Well, we watched them burn basically; but we tasted them, because to improve you have to taste failure,” says Dom. Obviously, they’ve come a long way from that first roast. But, with hundreds of chemical reactions happening at the same time, Nick says it’s unlikely that anyone truly understands the roasting process. 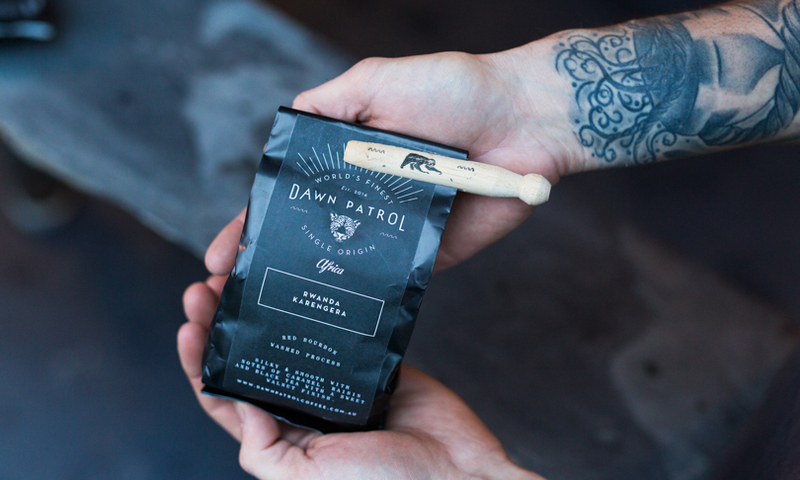 Despite the acknowledgment that the goal of coffee perfection will always be just a little out of reach, nothing comes without careful consideration for Dawn Patrol – especially not the supplier of their beans. 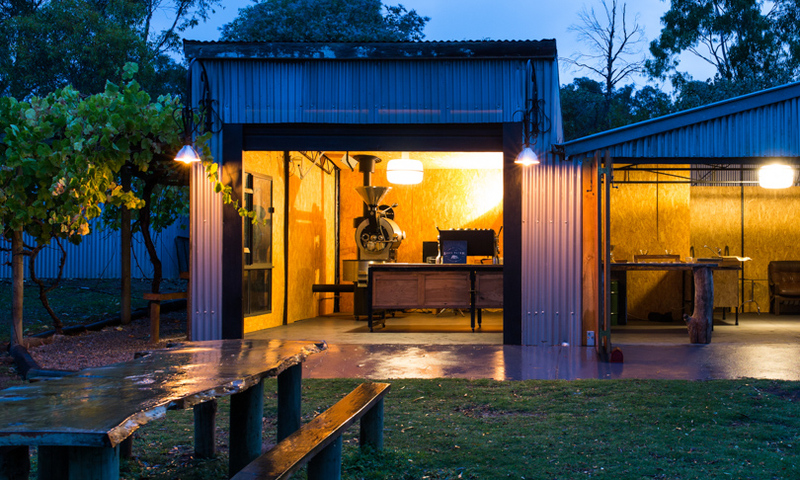 Much research preceded their decision to partner with Melbourne Coffee Merchants (MCM). “We wanted quality beans, but they needed to be ethical,” says Dom as he explains that coffee producers can often be exploited. “People want to know what they’re putting into their bodies so the process had to be transparent. MCM visit the farmers – they’ve been going to some farms for years now – so we know exactly where the beans are coming from,” Nick adds. While they’ve only been seriously roasting since January, already their beans are being served in various cafés including SAD, Trouble and Strife, Colab – which the guys helped start up – and Poet’s Ode in Hahndorf. It’s been a long-time coming, but the excitable pair is ready to share what’s become a life’s passion in one of the most beautiful parts of the world, so it is worth the wait and definitely worth the drive.